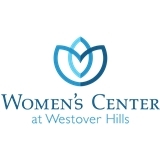 Women’s Center at Westover Hills (San Antonio) - Book Appointment Online! Looking for an obstetrician or gynecologist - or an expert in fertility or robotic surgery? Our multi-disciplinary team of providers listen carefully to you in order to provide comprehensive preventive care as well as general and complex diagnosis and treatment for teenage, adolescents, young, mature and elderly women. We will work with you to help maintain optimum health throughout your life by utilizing innovative medical solutions with the expertise and experience you want and deserve! We understand compassion and confidentially as well as how to meet your specific female needs. Our providers and staff invite you to be part of our growing OBGYN practice.